I am calling on Dundee City Council to listen to Liz McColgan. Liz McColgan called on the council to do more to build on the legacy of the Olympics in the Courier last week. I read Liz McColgan's concerns in the Courier last week and have met with her to see what can be done to improve the situation in Dundee. I've raised her concerns with the City Council and will look for action from the council and others. 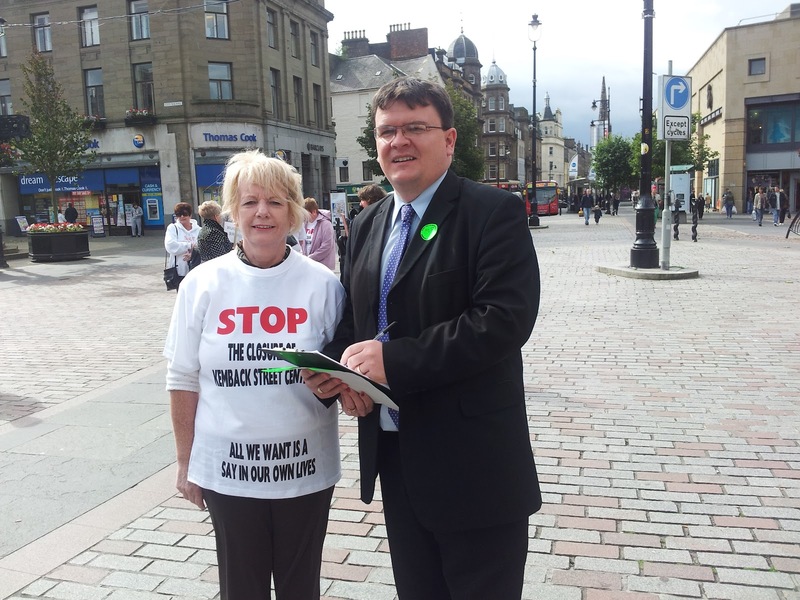 I was delighted to meet with Liz McColgan and listen to her concerns. I think that it is important for local councillors and indeed all politicians to listen to the views of local people and experts; in this case Liz is both a Dundonian and an expert. I am clear that politics and sport is not always a good mix but I am also clear that politicians should be doing all that they can to improve the sporting facilities in the city. The Olympics were clearly very popular in Dundee, as elsewhere, and it was good to hear from Liz that this has led to more young people attending Hawkhill Harriers training at the Caird Park Stadium. Liz raised a number of specific issues about Caird Park Stadium and I will be looking for answers on things like drinking facilities there, floodlighting and access issues. There are bigger issues about sports facilities in the city. I am pleased to have been at the forefront of bringing the New Olympia Swimming Pool to the city, and also promoting the regional gymnastics centre in the city. I am aware that times are tough and that there isn't a lot of money around in local government or elsewhere. I do think that we need to be ambitious for the city though and look at ways of making sure that our sporting facilities are as good as they can be. What is required is an attitude that looks to get things done rather than looking for reasons not to do things. I also think that it may well be the case that there are things that could be done differently that wouldn't cost a lot of money but could lead to a significant improvement. My aim is to improve participation in sport in Dundee and to look at ways of supporting elite athletes in Dundee; I think that this should be the City Council's aim as well. I was pleased to meet with Liz McColgan I think that we should at the very least listen to the views of one of Dundee's most successful athletes, I hope that the Council will listen as well. ﻿ I was really pleased to be at the inaugural meeting of the Friends of the Riverside Nature Park. It was great to see a good turnout of local people who are enjoying getting access to the park and who want to help the park by being part of the friends group. The friends group will look to represent the users of the park and make their views known to the council; they will provide the eyes and ears which will check that everything is going well at the park. The friends group could also ensure that local people get better use out of the park by highlighting events that are taking place or by just promoting the park. It was good to hear about what had already happened at the park since it was opened around a year ago. It was good to hear about the variety of species of plants, birds and mammals which have been seen at the park including things such as Ospreys and Otters. There is an online forum for birdwatchers who are cataloguing the species that they have seen and which includes some fine photographs. I hope that the Friends of Riverside Nature Park is successful and that they encourage more and more people to take advantage of this wonderful resource so full of nature within minutes of the city. On Thursday I visited Sensation: Dundee Science Centre along with a number of council colleagues. Staff at Sensation wanted to brief councillors on their work. Between 2007 and 2009 I was a director of the company and so I was aware of the work of the centre. 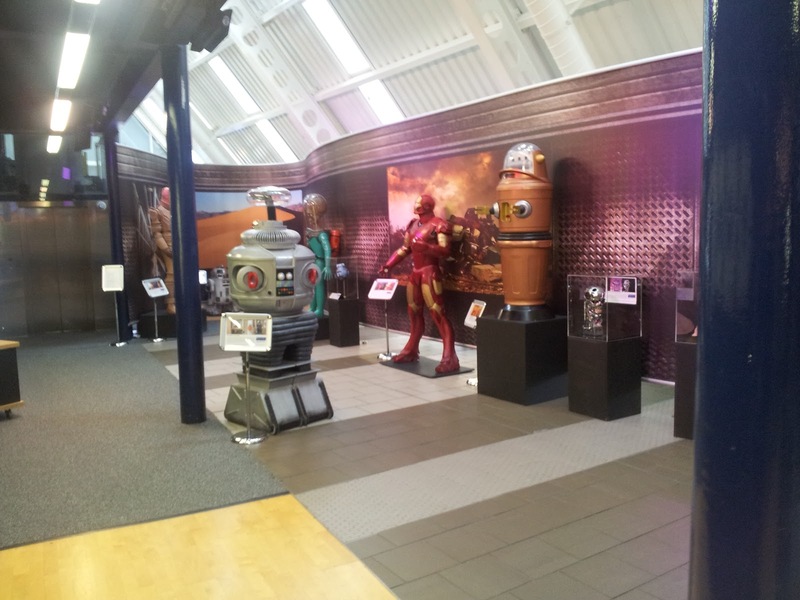 The centre is an excellent visitor centre and is well worth a visit. The centre also does a lot to promote science, technology, engineering and mathematics education. It is important that science education encourages young people to look at science and technology as a career path. Dundee and Scotland has a long history of scientific breakthroughs and we should celebrate this element of our history and look for more breakthroughs in the future. Sensation is well worth a visit. It also has a lot to offer in the field of education for everyone from babies to adults. I was pleased to join council colleagues visiting the Whitehall Theatre to hear about progress that is being made in rejuvenating the theatre. It was good to hear about the progress that has been made in recent months refurbishing the theatre and attracting more shows to the theatre. 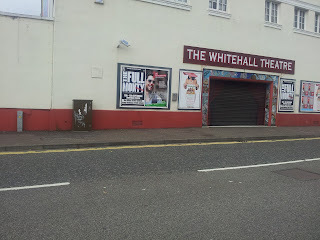 It was good to hear that the theatre is keen to build links with the local West End community. 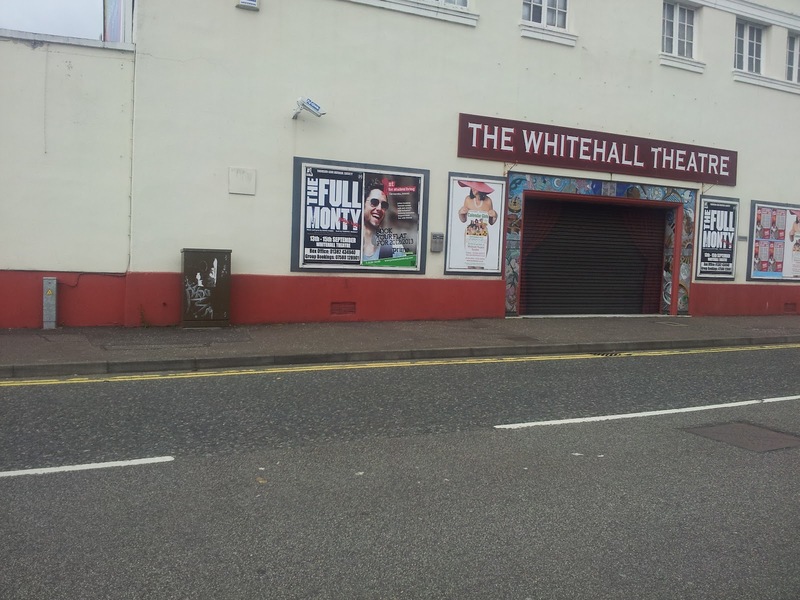 I will be encouraging organisations to look at ways in which they can use the facilities at the Whitehall Theatre. I hope that the Whitehall is successful in the future and that it remains as an excellent resource for West End, the rest of the city and the region for years to come. Today as I was walking through the City Centre I came across some service users, parents, siblings and carers from the Kemback Street Day Centre. They were collecting signatures for their petition to prevent the closure of the Kemback Street Day Centre. The council approved a report in March which agreed to 're-provision' the service at Kemback Street. I now know that in this context 're-provision' means 'close'. I am afraid that I didn't know this back in March. This was a very poorly written report and is part of a very disappointing trend to obfuscate rather than elucidate in council reports. It is clear that the service users at Kemback Street and their families and carers have not been properly consulted on the council's plans. I think that the council should stop the process and have a proper consultation with service users and their carers. If the council's policy is right and there is no financial motive in the closure, as we are told by the council, what do they have to fear? I signed the petition today to show my support to the users of Kemback Street Day Centre. 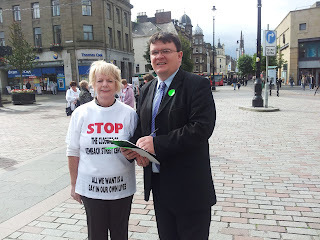 I want to be part of a council that listens to the people of Dundee not one which uses slight of hand to change policy. There was a report on the action taken by the Kemback Street Support Group on STV tonight and you can see the report here. I was appalled to read the report published today by Save the Children entitled It Shouldn't Happen Here. This came the day after Citizens Advice Scotland published a report which highlighted an increase in the number of people relying on food parcels. I am clear that no political party is without fault when it comes to dealing with poverty in this country. I think that it is important that we ensure that every child in the UK gets the chance to fulfil their full potential. Allowing children to grow up in poverty can often limit that child's life choices at an early age. Politics is about priorities; my priority is the eradication of poverty both in the UK and across the world. I understand that this is very difficult and that St Paul would tell us that the poor will always be with us, but if we do not set out to make society fair then we will never achieve a better society. I think that Dundee would be an even better place to live in if there was less poverty in Dundee. This would make a real difference to the lives of everyone in Dundee not just the poor. The best way to prevent child poverty is to ensure that parents are in jobs that pay a Living Wage. This is why I will continue to make the case that the City Council and others should pay the Living Wage. Please take a look at the Save the Children video here and consider supporting the their campaign. Tonight I was pleased to attend the latest meeting of the Community Spirit Action Group in the northern part of the West End ward. It was great to listen to the concerns of local people. I am very clear that it is one of my main roles as a local councillor to listen to the people of the West End. It is always useful to hear how people feel about the work of the City Council. Tonight I heard about a wide range of issues including parking concerns, the upkeep of open spaces and community safety. Community Spirit does a great job representing the views of people in Pentland, Ancrum, Tullideph, Benvie Road and City Road areas of the West End. If you live in this area get in touch with Community Spirit or come along to one of their meetings and make your voice heard. 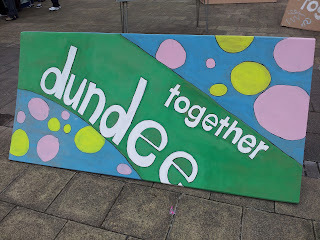 I was delighted to be able to support the Dundee Together events (too briefly) in the City Square yesterday. 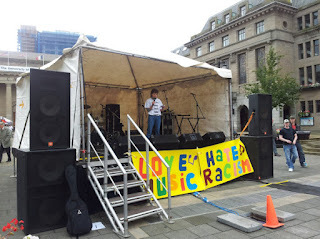 It was great that the events went off well and that there was broad support for people saying that racists were not welcome in Dundee. I would like to pay tribute to all those who played a part in organising the event. Dundee has a long history of welcoming immigrants and people from outside the city. My PhD research was on the impact of Irish immigration to Dundee. 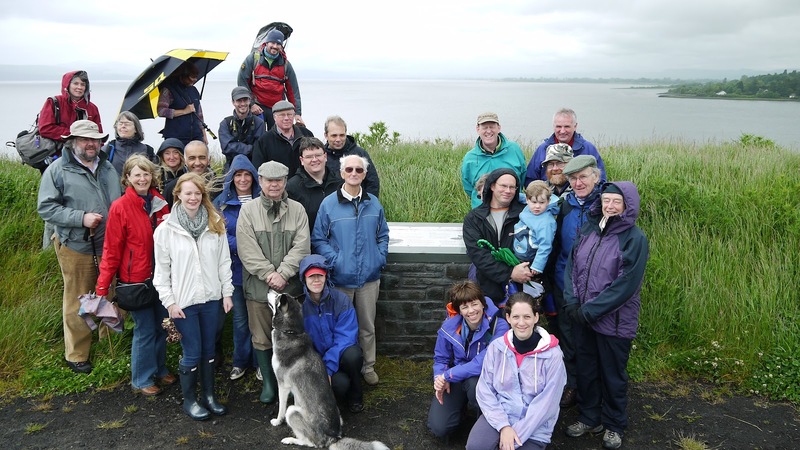 Over the years the Irish have been joined by people from Poland, from the Indian sub-continent, from the Highlands and from England and many other places. The Irish made a major contribution to the development of the city in the nineteenth century. I note that Glasgow City Council are considering a monument to the Irish who made their way to Glasgow as a result of An Gorta Mór, the Great Hunger of the late 1840s. it is worth noting that at the 1851 Census just after the famine that Dundee had a bigger proportion of Irish-born residents than Glasgow or anywhere else in Scotland. Yesterday's events made me wonder whether Dundee shouldn't have some kind of memorial or commemoration of all the peoples from across the world, not just the Irish, who have contributed to the development of this city? Such a memorial could look at the contribution that people from across the world and particularly women made to the development of Dundee. 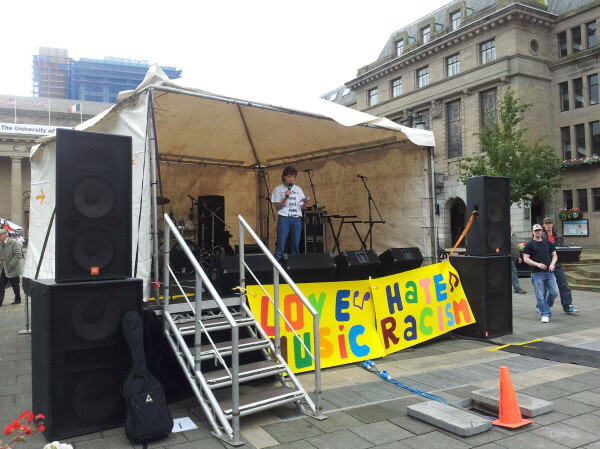 The best aspect of yesterday was that people across Dundee joined together to say that racists were not welcome in Dundee. Dundee has a long history of welcoming different peoples and I hope that that continues.